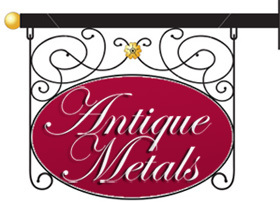 Antique Metals is a small business specialising in the restoration and conservation of antique, architectural and modern metalwork, chandeliers and lanterns. We undertake metalwork repairs and finishing to a range of materials including brass, bronze, copper, steel, lead, spelter and others. For more information, contact us and we will be only too happy to help. See our restoration page for examples of our work.